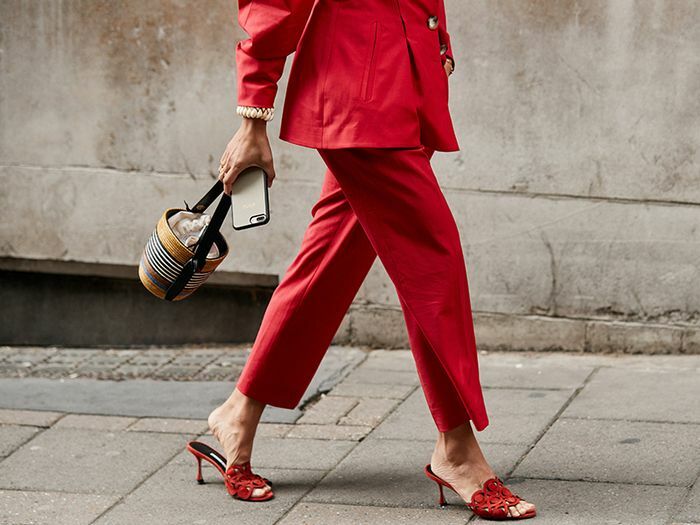 We’ve already broken down the key autumn/winter 2018 trends, explained the many ways to wear animal print this season and delved deep into all the best ways to style A/W 18’s hottest hue. But what about autumn’s denim offering? Naturally, your favourite skinny jeans will remain a wardrobe mainstay, but if you’re ready for an update, there are a few key looks we predict will take over this season. We’ve already seen the power of a sellout dress this year (yes, we’re talking about that Topshop frock), so it’s little surprise that midi dresses are set to be huge. Add an A-line skirt, a chic jacket and a onesie—all made of denim, of course—into the mix, and you’ll have an incredibly strong new-season wardrobe. Keep scrolling for the seven autumn denim trends we’ll be wearing on repeat. We’ve already seen the boilersuit trend steadily creeping in, sported by chic street stylers and the Kardashian-Jenners alike. With the arrival of cooler weather, denim takes on the utilitarian onesie are set to explode. Look for nipped-in waists for the most flattering fit, as seen here on Jessica Skye. If you’re not one for the boilersuit trend, a denim dress might be a better fit. From dropped-waist styles to belted dresses with voluminous sleeves, it’s all about the shin-skimming midi length, as worn here by Brittany Bathgate in a chambray full skirt number. When the weather gets really chilly, team one with a pair of knee-high boots and a roll-neck á la Victoria Beckham. Naturally, the biggest trend of the year has dug its claws into jeans, denim jackets and more. 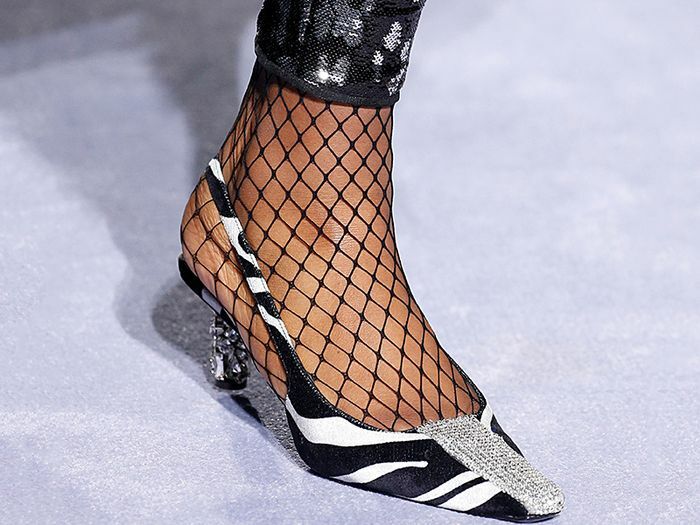 From Saint Laurent to Topshop’s cult Joni jeans, you’ll be seeing leopard print taking over skinnies, crops and more—best finished with slick ankle boots. Say goodbye to the slouchy, oversized denim jackets of summer. For autumn, shapes are smartening up with denim blazers from the likes of Balmain and even denim trenches from MSGM. The key look we’re championing, however, is the belted denim jacket favoured by Jeanne Damas. Alongside polka dots and printed dresses, midi skirts ruled S/S 18, so it’s no surprise to see the trend staying put for autumn. Midi lengths are crossing over into the key denim trends of the season. Make like Ellie here and opt for a split front style so you can show off your knee high boots. Call it another extension of the “dad” effect, but roomy wide-cut jeans are emerging as a key shape for autumn. Even Ganni and & Other Stories are already offering up chic takes. Look for high-waisted versions like Amira. She finished off her look with the autumn’s key piece (you guessed it): the roll-neck. If you want to stray away from the classic denim, then it’s time to embrace the rainbow. Jeans in every hue is a way to effortless brighten up having to cover up our legs for the foreseeable. Make like Aude-Julie and opt for a “go with everything” tan, or look to Miu Miu for an olive pair you’ll never take off. Either way, you’ll get just as much wear out of them as your trusty blues. Next, see the ’90s autumn outfits we’re still obsessed with.